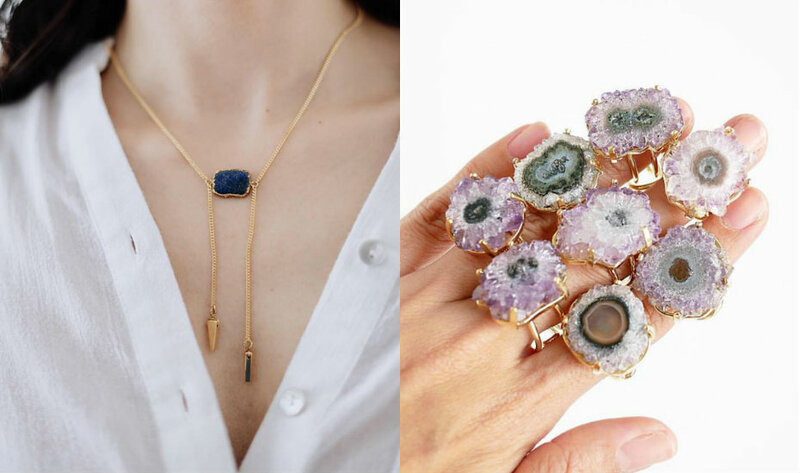 Love crystals so much, you wish you could wear it on face? 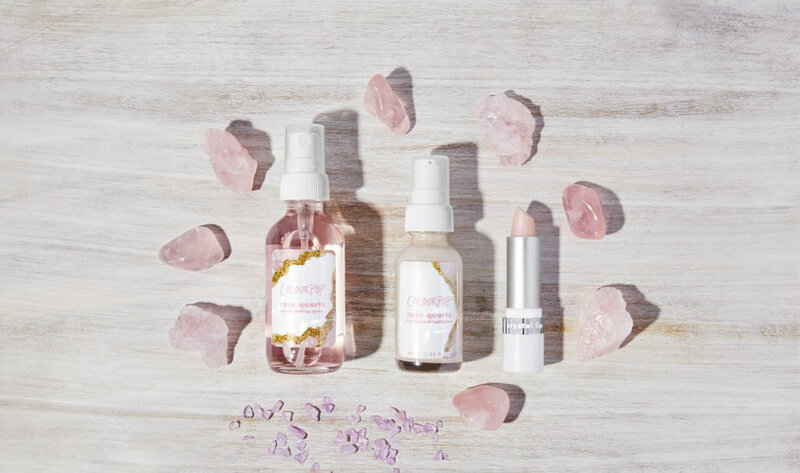 Popular make-up line Colourpop – which ships to Singapore – launched a collection of priming sprays, liquid highlighters and pearlescent lip balms that actually contains crushed crystals – choose between amethyst, rose quartz, aventurine and aquamarine. 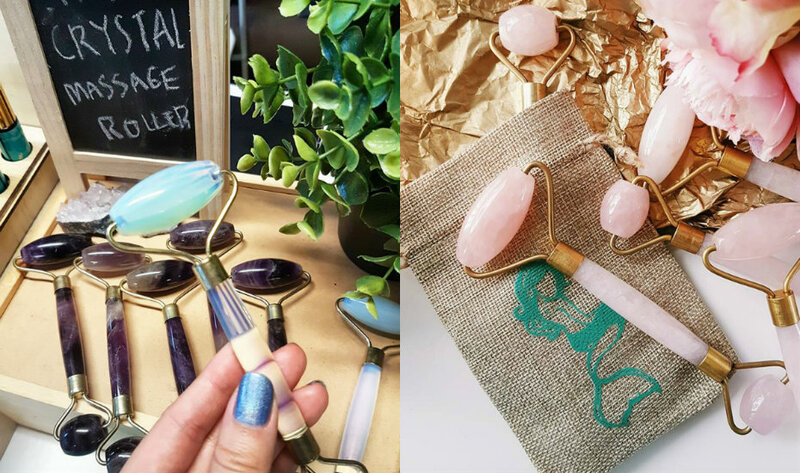 The brand’s crystal-infused collection drives home the point that the healing crystal trend in beauty products won’t be fading anytime soon. Spruce up your tea or coffee set up with these magical looking coasters. Choose from the deep blue, rich purple, serene teal or popping pink picks to brighten up that morning cuppa. 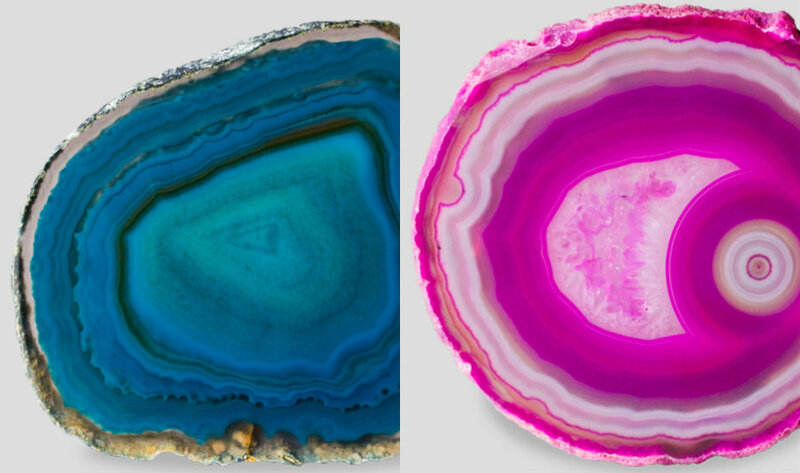 These mineral marvels emerge from volcanic regions, where they’re carefully cut and polished to show off the vibrant colours within. Eco beauty warriors Julisa from Gold Coast, Australia (they ship to Singapore!) 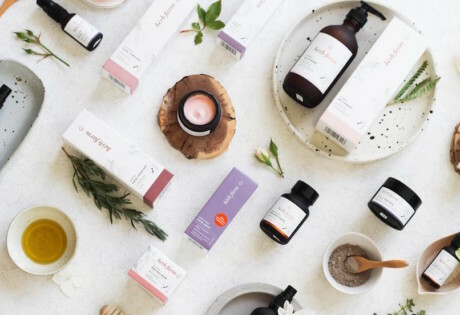 have always been committed to creating a range of body-loving and earth-caring products for their ‘green beauty tribe’. 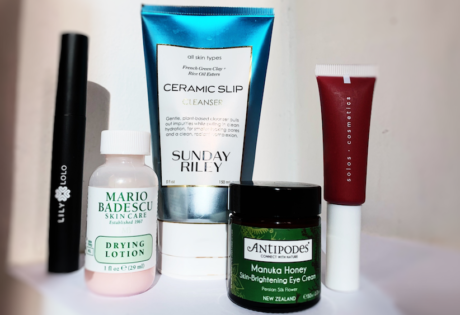 The range has expanded to beyond serum and nail polish and now include a collection of beautiful crystal face rollers. Get them in amethyst (strong healing and cleansing powers, and enhances spiritual awareness), opaline (improves communication on all levels and great for transitions, emotionally), and rose quartz (sends off strong vibrations of love, happiness, warmth, and emotional health). 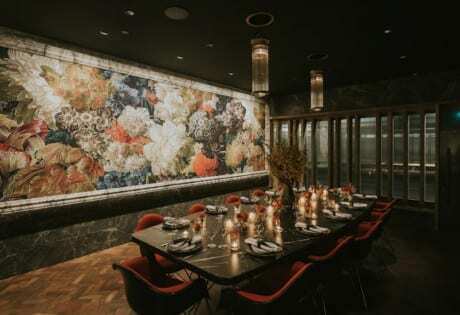 We love everything Mmerci Encore founder Alli Sim is doing right now. Self care? Bring it on. 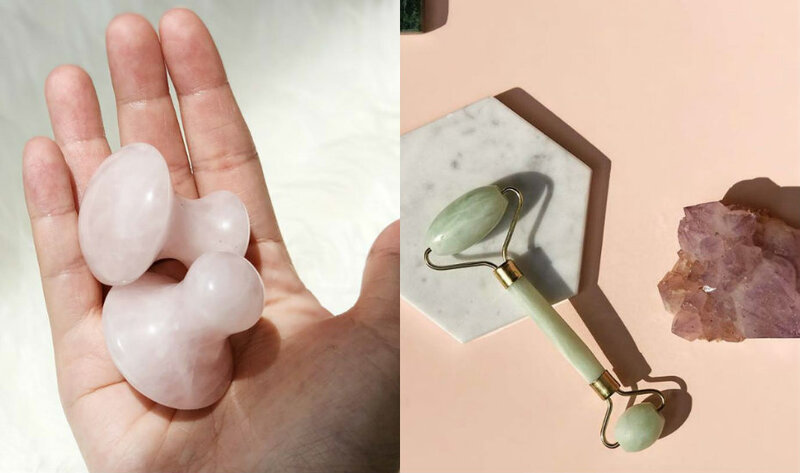 These rose quartz face massagers are a great excuse to commit to a night-time wind down. Yes your face deserves a massage. Tense? Us? Hand those babies over and nobody gets hurt. They also stock jade face rollers for $25! Crystal and gemstone jewelry has come a long way since ostentatious jade rings and bracelets. Singapore label By Invite Only stocks elegant and minimal designs that feature precious gems like moonstone, labradorite, sodalite, solar quartz and more. 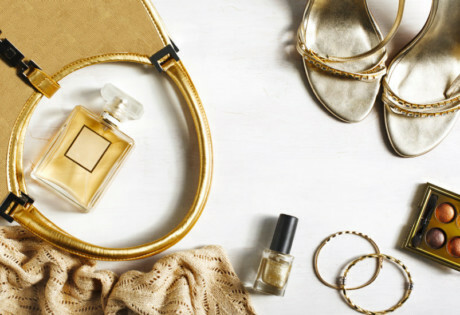 Every piece is hand-assembled so you can proudly say that the necklace you’re wearing is unique. By Invite Only, from $39. 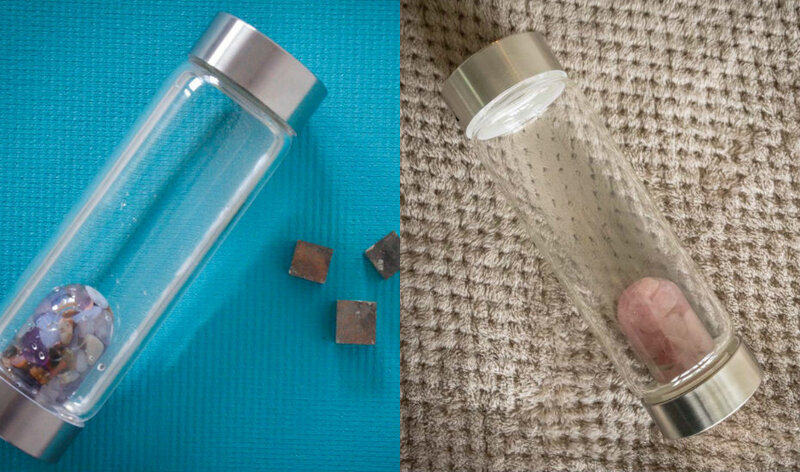 The idea behind the VitaJuwel is that the crystals encased within the glass dome energise your drinking water, and possibly help to oxygenate, alkalinise and positively affect the structure of your drinking water. Pick from 18 combinations of gems: we went with the ‘Five Elements’ combo to encourage balance. Does it work? We think it’s a beautiful way to stay hydrated, and is quite the treat. And that’s what wellbeing is all about, no? 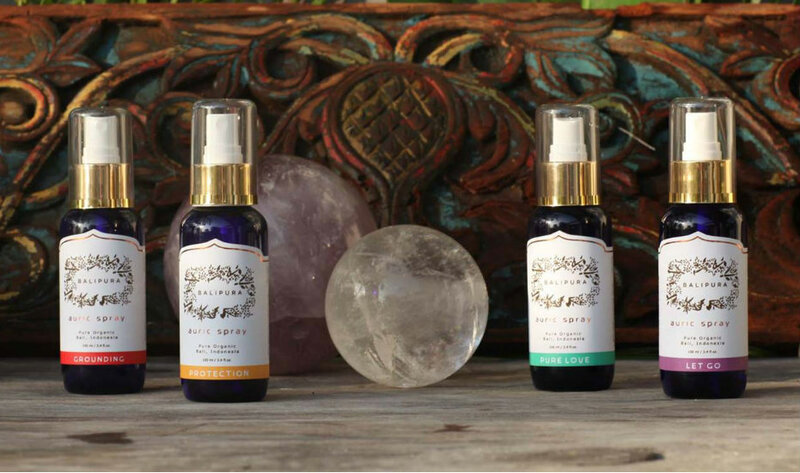 Balipura sprays are like an aromatherapy spritz (they smell divine), but seriously next level: they’re made with volcanic spring water and essential oils, and are infused with crystal energy. They’re even blessed by a Balinese Priest under the full moon. Yes, we’re into that. 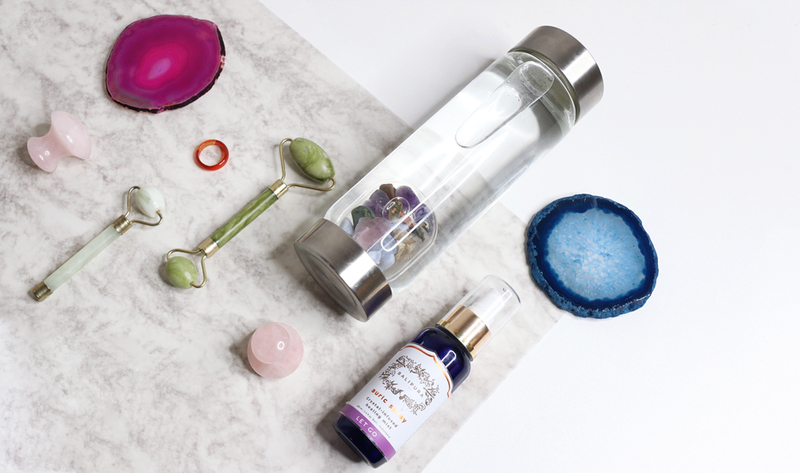 We picked up the Let Go spray, which is infused with clear quartz, amethyst and sodalite – and smells like cinnamon. Give in, take a deep breath and just enjoy it.